It’s not your imagination: your breathing may change, and you may be more susceptible to pneumonia or other bacterial or viral lung infections, as you age. 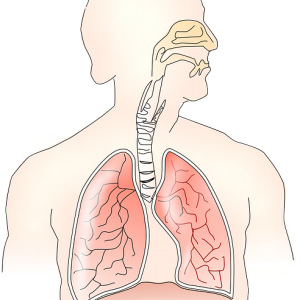 To better understand why that may happen, it’s important to first understand the biological process going on in your lungs as you breathe in and out. As you get older there may be bone or muscle changes in your chest and spine that mean you take in less oxygen or expel less carbon dioxide, leaving you more tired or short of breath. While exercise can help improve the situation, and vaccines for the flu and pneumonia can lessen your risk of breathing problems, the reality is that aging can take a toll on your respiratory system. If you’re caregiving for someone with breathing difficulties, it’s important to keep an eye out for respiratory changes that may indicate the need for medical help. And of course, it goes without saying that even if you’ve been smoking for decades, giving up cigarettes later in life can still help your lungs, as well as lower your risk for cancer or cardiovascular disease, in addition to creating a healthier environment for you and your loved ones. And as you focus on the importance of breathing and good respiratory care as you age, you might also find it interesting to learn about the possibilities of analyzing your breath as a way to diagnose your state of health. Soon we may all be breathing into breathalyzers to get an instant read on how healthy we are. Take a deep breath, and find out more here.